The University of Michigan has hosted some of the largest soccer matches in history at its football stadium. In 2014, Manchester United defeated Real Madrid 3-1 at Michigan Stadium before 109,316 fans. It was the largest crowd in U.S. soccer history. Two years later, Real Madrid returned to the fabled Big House in Ann Arbor for another International Champions Cup match, this time defeating Chelsea 3-2 before 105,826. It was the second-largest soccer crowd in U.S. history. 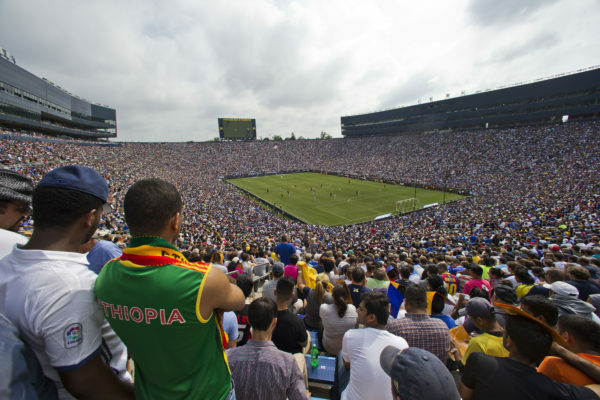 A third match was in the cards for Michigan Stadium in 2017, with Liverpool playing Manchester United. The date of the July event, however, coincided with Ann Arbor’s art fair, which annually draws more than 500,000 people. The sports commission conferred with Warde Manuel and Mark Schlissel, the university’s athletic director and president, respectively, and together they decided to cancel the match. “They said, ‘You know what, it’s better for the community not to have this soccer game,’” Madej said. The game would have brought in between $500,000 to $750,000 in stadium rent for the university, according to Madej. Not all sports commissions and CVBs are fortunate enough to have cooperative relationships. 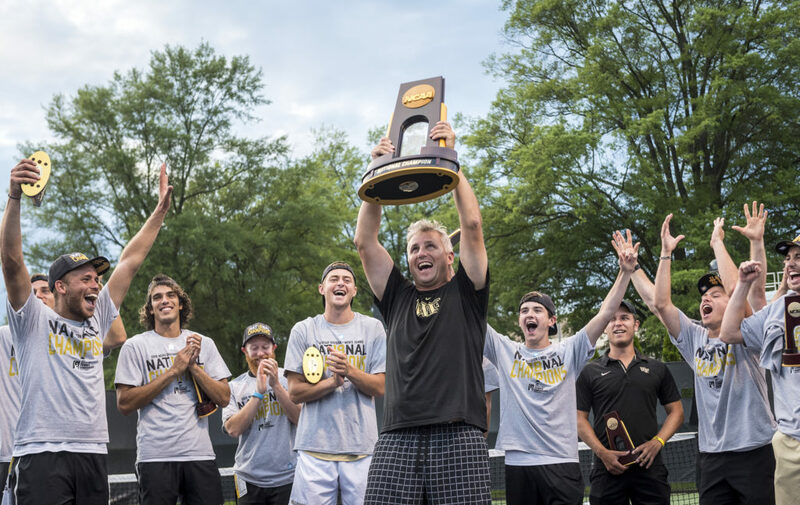 Many are forced to contend with a range of issues, including NCAA rules that hinder event scheduling and outright disdain directed at CVBs by athletic departments. Home to Oklahoma State University, Stillwater offers a model of town-gown cooperation, said Cristy Morrison, president and CEO of Visit Stillwater. 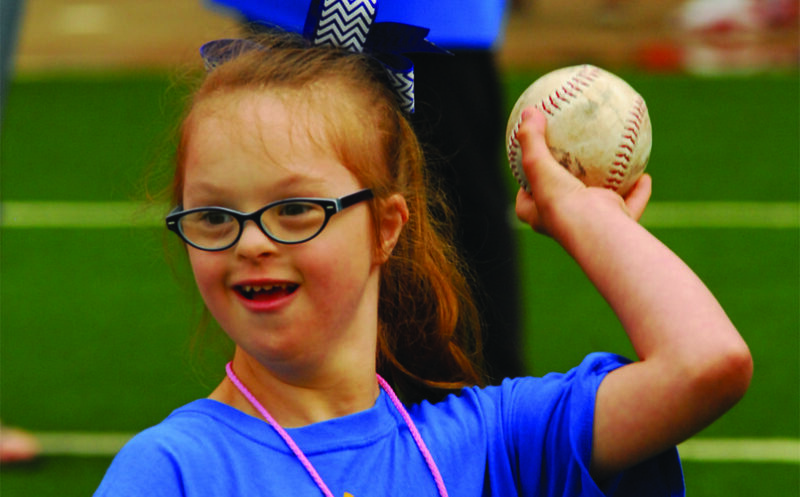 Marketed as “America’s Friendliest College Town,” Stillwater has been home to the Special Olympics Oklahoma Summer Games for 34 years. Held at OSU, Stillwater High School and other community venues, the event draws some 5,000 athletes and an additional 5,000 coaches, family, friends, fans and volunteers, Morrison said. The facilities at OSU are used for Big 12 Conference games, NCAA championships, American Junior Golf Association invitationals and events hosted by the Oklahoma Secondary School Activities Association. “The facilities stay active and busy throughout the year,” Morrison noted. Stillwater Regional Airport now offers two to three daily round-trip American Airlines flights to Dallas–Fort Worth Airport, offering easy connections for visitors from around the country. “Sports events rights holders feel more comfortable when they know the OSU Athletics Department and Visit Stillwater work cohesively as a team and have a well-established communicative link to one another throughout the year,” said Morrison. The close relationship facilitates securing hotel room blocks, finding volunteers and promoting events effectively and efficiently, she said. What should CVBs and sports commissions do in order to develop successful partnerships with universities? “Be a fan—and be of assistance,” Morrison said. “Do everything you can to become an extension of the athletic department team. They shouldn’t have to worry about securing hotel room blocks. That’s our responsibility. They have a direct line to their fan base, and we should have a direct line to everyone else.” Collaboration on marketing and promotion is also smart, “because it is going to benefit everyone,” she added. In Winston-Salem, North Carolina, a similar relationship has developed over the years between Visit Winston-Salem and Wake Forest University, home to many of the city’s largest potential venues for events. But it wasn’t always the case. Pete Fisch, the university’s associate athletic director for guest experiences and venue management, agreed the relationship has been a work in progress over the years. But honest communication, he said, has made the difference. He said the university will approach the CVB with the potential for events that don’t always work out from the city’s perspective, and the same is true from the city asking for use of facilities for events it would like to bring in. But the university, he said, has seen the value in making events work on campus. The support of the CVB and its staff serving as ambassadors to the city has also helped in recruiting athletes when they come to campus because they’ve had a positive experience across the city. “I think the relationship has blossomed, so it’s not just them calling us and us saying no,” Fisch said. While not every city will have the same experience, sports commissions have also had success using nontraditional approaches in planning programming in university towns. Madej said Ann Arbor’s commission is considering the full scope of what an ongoing relationship with the University of Michigan could look like. Esports, for example, is an area of interest, and the commission is discussing options for programming with the University of Michigan and the Big 10 Network, he said. Planning a better relationship with the local university could include working with the school to bring in experts on concussions for a lacrosse or hockey tournament to offer reliable information for parents. “Maybe they talk to actual doctors to tell you what’s going on within these university programs,” Madej said. Fiscal management is another area of interest. “How many parents think these kids are going to get scholarships? Maybe you start talking to them about the reality and what they need to do with the core curriculum,” Madej said. Not every sports commission has an effective and efficient relationship with its local institution of higher learning. NCAA regulations sometimes make it difficult for non-campus organizations to schedule events, said Madej, who cited a recent situation involving Michigan State. Teams in the Michigan Athletic High School Association had been playing their basketball state finals at Michigan State’s Breslin Center in Lansing. In 2015, the NCAA changed its policy of using predetermined sites for the opening weekend of the women’s basketball tournament and decided to allow the top four seeds in each region to host the first two rounds. In 2016, the Spartans women’s team, which was seeded fourth that year, had to travel to fifth-seeded Mississippi State’s home court because the Breslin Center was booked under contract for the high school tournament. Michigan State lost to the Bulldogs by two points in a game that gave the lower seed a home-court advantage. MSU’s annoyed athletic director vowed to fix the scheduling problem, but it hasn’t been easy finding a solution. Athletic departments often are unwilling to look beyond the borders of the campus, according to one veteran CEO of a university town CVB who asked not to be identified. “It’s a mindset that a lot of athletic departments take of wearing blinders to whatever else is going on in and around the community,” he said. Sometimes cities run into problems with an event at a venue funded by student fees, where students believe the campus venue should be open only to them. Wear and tear on fields can weigh on the minds of college administrators and athletic directors. On many campuses, industry veterans say, college coaches often have the attitude that the fields are theirs and no one else should be using them. “Athletic departments are somewhat prone to that [way of thinking],” said Tim Foster, president of Colorado Mesa University in Grand Junction. “It’s not an exhaustible resource. You build ’em to use ’em rather than sit there and look pretty, as long as it doesn’t interfere with our student-athletes’ and our students’ use. We have high school players here. We have lots of folks come on campus. It creates community engagement.” Foster had a major role in making Colorado Mesa possibly the only university in the United States that helped to create a sports commission for non-campus events (see sidebar). At Colorado Mesa, university officials have made the decision to support outside events where they can. That has included making schedule adjustments in order to accommodate those events, Foster said. Warmups for an afternoon game might start on a different field so that someone else can use the main field.